There are two things that I know for certain. One, Bert and Ernie are gay. Two, you are not gonna die a virgin. Not on my watch. 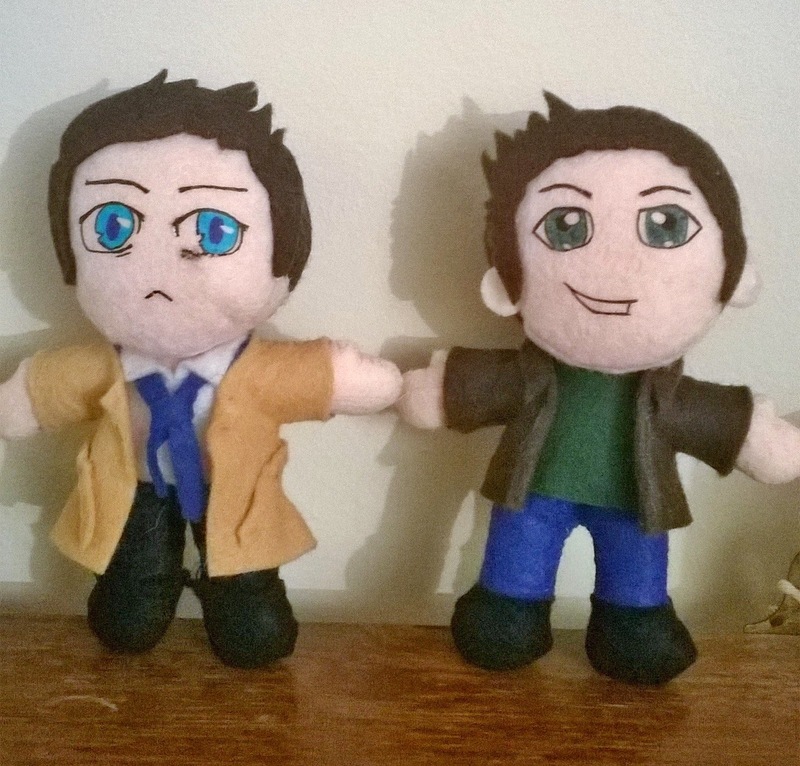 Dean and Castiel plushies! 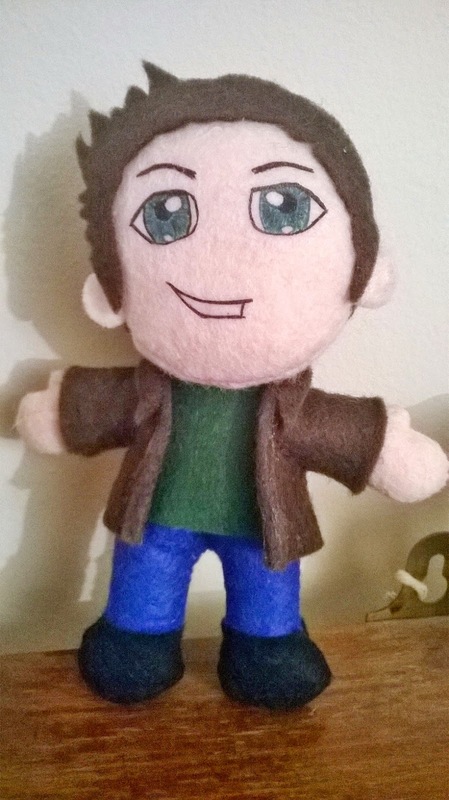 Dean needs his teeny necklace, but I don't have any fimo at the moment - he may get one later. 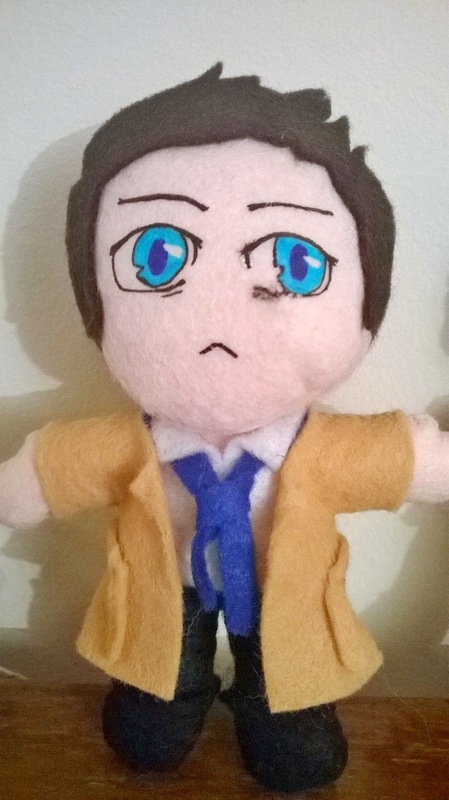 I’m the one who gripped you tight and raised you from Perdition. I totally messed up the bag under his left eye, but I'm not going to sweat it! Sam: We should call Castiel. Dean: Dude - on my car! He showed up naked, covered in bees. 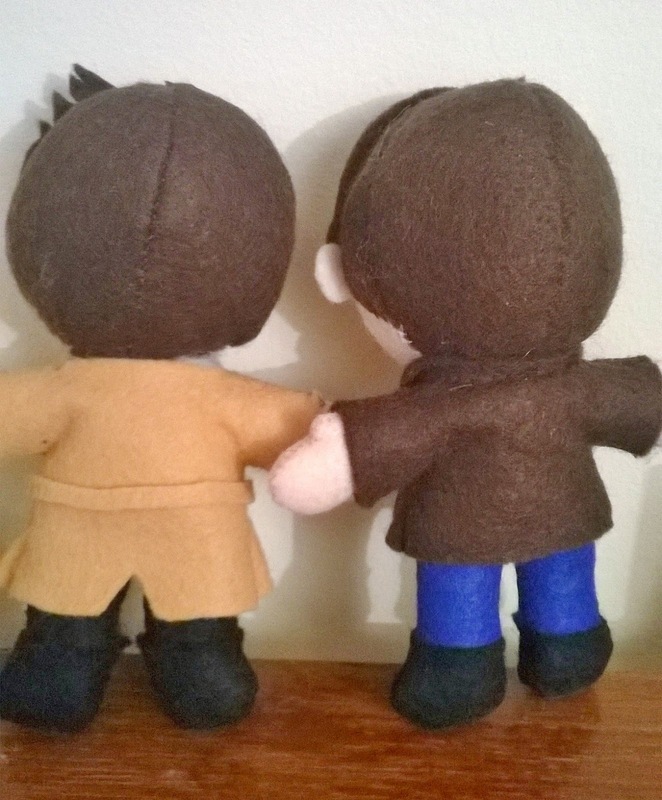 I actually have two different brown felts - one for his hair and a darker shinier one for his jacket. I'm rather proud of that fact, even if it doesn't show up in the pictures. So what, I'm Thelma and you're Louise and we're just gonna hold hands and drive off this cliff together? Dean's jacket collar is up at the back, cos he's cool.